Tween magazines are written for 8 to 14-year-olds and provide a wealth of information on social activities, fashion, school, and more. There is a great selection of magazines on the market for this age group and subscribing to them has never been easier! Whether used at home or in the classroom, educational tween magazines present factual information and non-fiction articles as their main content. 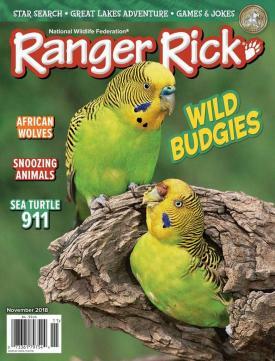 The National Wildlife Federation publishes several nature magazines for different age groups including Ranger Rick for kids ages 7 to 12. You can check out the current issue online, but all other issues are print only. An annual subscription costs just under $20 for print versions and digital versions and includes 10 issues which are loaded with animal facts, games, and activities. Kids can also get on the website to find more photos, games, and interactive elements such as surveys and nature photo contests. Cricket Media features 4 different options for educational magazines aimed at tweens ages 9 to 14. Each magazine subscription gives you the option of purchasing for one year or two years and either a print-only version, digital-only version, or print and digital versions together. All magazines are ad-free, include 9 issues, and cost about $34 for a print-only version or $10 for a digital-only version. Tweens with the travel bug will love Faces because it takes them on tours around the world to experience different cultures and the people who live in them. Cobblestone is all about American history and showcases the country's past through old photographs, illustrations, and exciting true stories. Kids who are into science and the arts will love Muse, an informative magazine that explores what's happening in modern science and art. 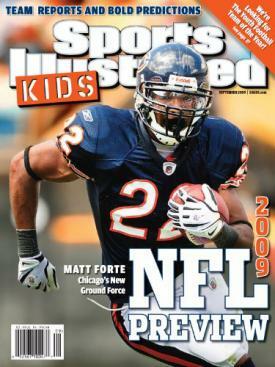 Tweens who love playing or watching sports can read up on their favorite athletes or learn tips to improve their own game through sports magazines. SI Kids is an offshoot of the adult magazine Sports Illustrated and is aimed at the 8 to 14 age group. All content is related to health, nutrition, and sports including topics like setting goals and exciting new young athletes. You can choose a 6-issue subscription for $10 or a 12-issue subscription for $20 in the print version only. Girls and guys participating in cheer will love American Cheerleader, a sports magazine written by experts in the cheerleading field. Each issue offers tips on training, healthy lifestyles, competition strategies, and interviews with top cheerleaders. Currently, all issues are in digital format only. You can install the app for free, but you'll have to make in-app purchases to see all the content. The website does feature dozens of articles on different topics for free. Older kids and middle schoolers with varied interests can read general magazines that cover everything from celebrities to self-reflection. 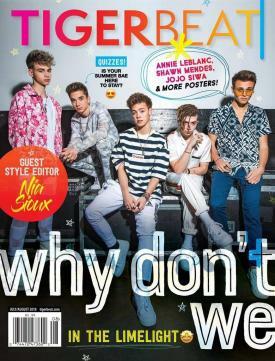 A perennial favorite that has been around for decades, Tiger Beat is known for covering all things celebrity with a tween and teen viewpoint. It covers pop culture topics from style to music with features on young celebrities and tons of great images. A one-year print subscription includes 6 issues for about $20 while a two-year, 12-issue subscription costs $35. Aimed at tweens ages 9 to 14, Cricket magazine is great for kids who love to read. It features fiction and non-fiction stories, poetry, and artwork on a variety of topics in 9 annual issues. A digital subscription costs around $10 while a print subscription costs about $34 for this ad-free periodical. Jack and Jill is made to promote educational and creative growth in kids ages 6 to 12. Articles, activities, and games about topics from current events to entertainment encourage kids to get curious about their world. A one-year subscription costs $15 and comes with a free activity book. Despite the title, the aim of Girls' World is to inspire creativity in young people ages 7 to 11. Content includes crafts, recipes, and a fun look at young celebrities. While it does cover a lot of female stars, it also covers party planning and animals making it useful for creative boys too. For just under $20 you get to choose between 6 print issues or 6 digital issues. Lifestyle magazines made for tween boys provide tips and advice on common issues boys in this age group deal with. Likewise, magazines for tween girls focus on issues unique to tween girls along with advice on things like hairstyles and tween fashion. Boys Life Magazine is the original publication of the Boy Scouts of America. This magazine is written to inspire good citizenship and the spirit of fair play. Each issue features scouting tips, jokes, and well-written stories. A 12-issue subscription costs only $24 and includes both print and digital versions. If you head to their website, you'll find all kinds of great, free content and interactive activities. Girl's Life is tween and teen magazine that features true stories about dealing with life's problems. Each issue features advice columns, how to succeed in school, making friends, peer pressure, recipes, crafts, and tips on hairstyles and fashion. A 6-issue annual subscription costs $20, but there are also options to buy a two or three-year subscription. Their website for tween girls features tons of free content to supplement the magazine. 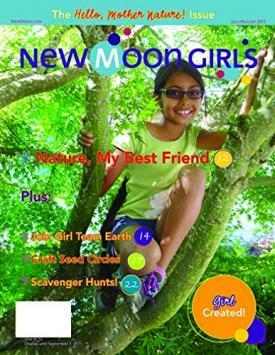 Written for tweens by tweens and teens, New Moon Girls magazine is all about girl empowerment. Your subscription includes 6 ad-free issues for the year for about $44. You can also purchase a $30 membership to their online support community for tween girls. Content includes tips and advice on all things social and developmental for girls in this age group. Kazoo is all about empowering girls ages 5 to 12 by sharing inspirational stories and tips from successful women in all career fields. Topics include everything from cooking and travel to sports and citizenship. Issues also include games and activities to encourage critical thinking. Each issue is ad-free and 64-pages long. Your subscription gets you 4 issues throughout the year for $40. The magazine is also available in Canada and for international subscriptions at an added cost. Whether you're looking for education or entertainment, there are plenty of awesome magazines aimed at the tween crowd. Magazine subscriptions make great gifts for tweens and even classrooms. Check out the selection at your local public or school library to read one or two magazines before choosing one to buy.